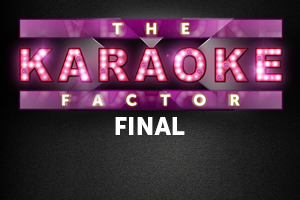 Who’s got the Karaoke X Factor!? This week Karaoke takes on a slightly more competitive tint as the Karaoke factor takes over the Stags Head from 21:00 this Thursday! We have 7 competitors on hand who have fought valiantly over the last few weeks to secure their place in this weeks final! End – Normal Karaoke through until close.